Randy Backman watches as Jack Carlson gets ready to exit from the smoke trailer. 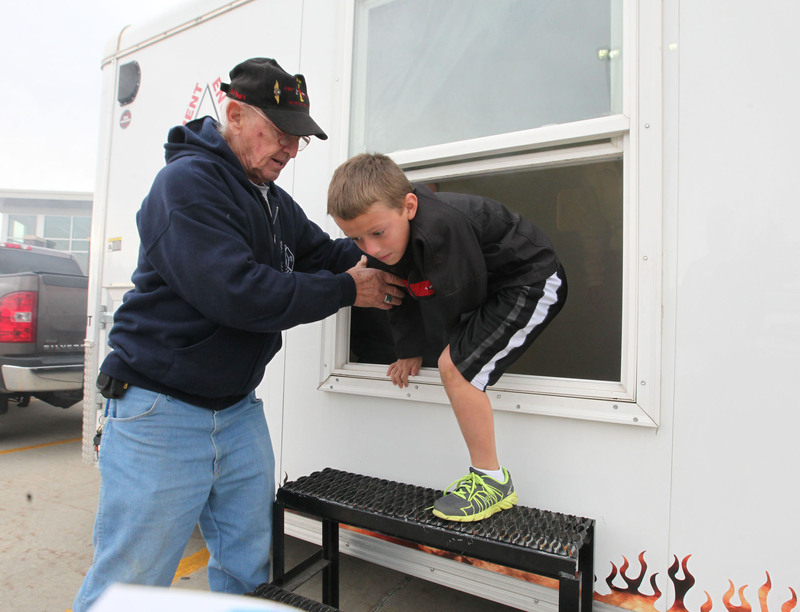 As a part of Fire Prevention Week activities, third grade students from across the Blair district visited the Schuyler Fire Department fire prevention and education smoke trailer parked at Deerfield primary school on Friday. October 10. The students viewed a melted fire helmet and other items damaged by the intense heat of fire. 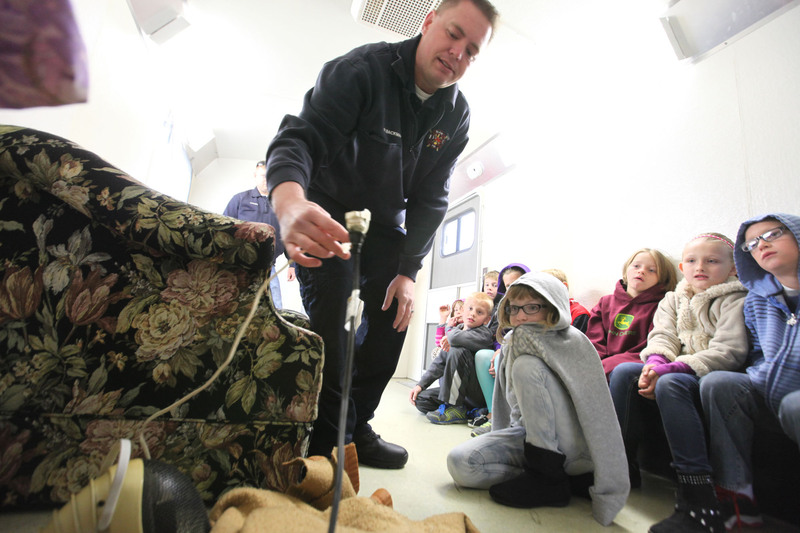 After entering the smoke trailer the students were asked to spot potential fire hazards such as a frayed extension cord or a heater touching an area rug. 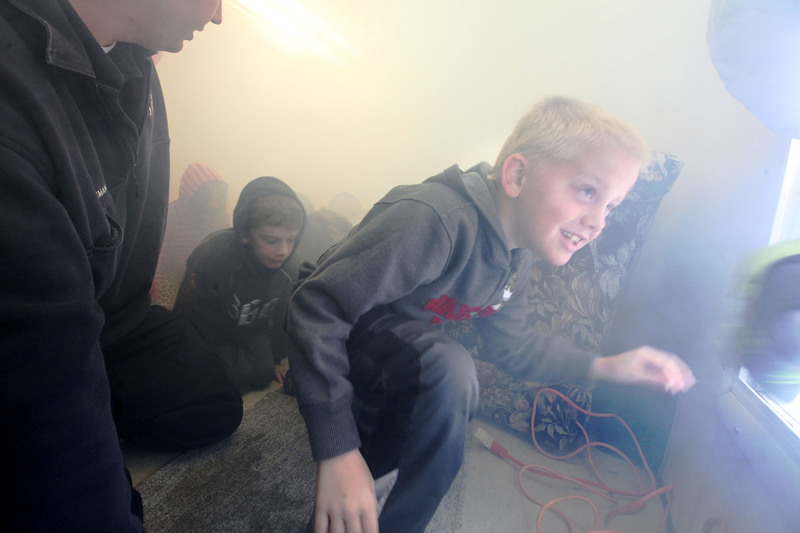 Blair fire fighter Randy Blair fire fighter Randy Backman asks third grade students in Tracie Johnson’s class to point out fire hazards in smoke trailer. 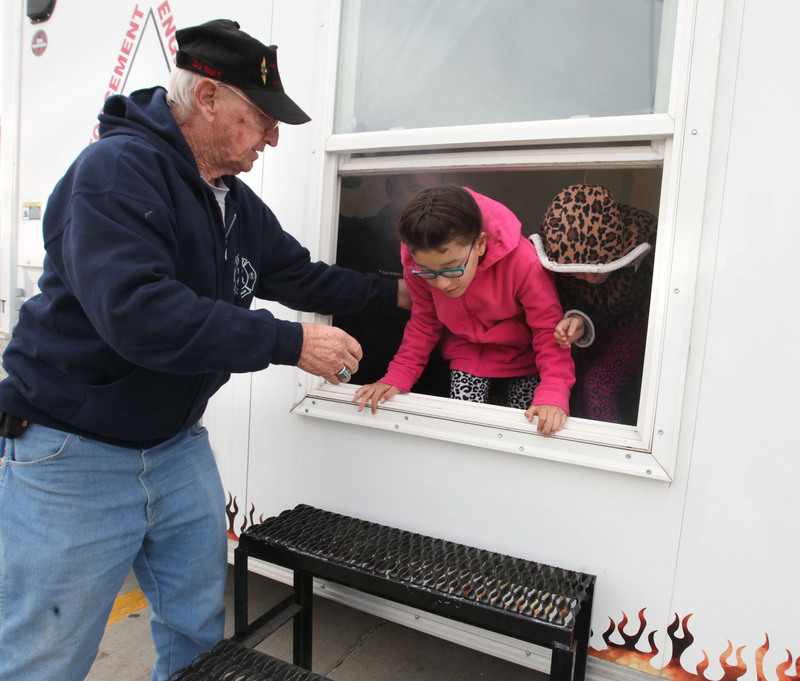 Bob Tichota helps Samantha Washington and Bridgette Bartelson exit from a window in the smoke trailer. Bob Tichota helps Ethan Lundgren exit from a window in the smoke trailer.